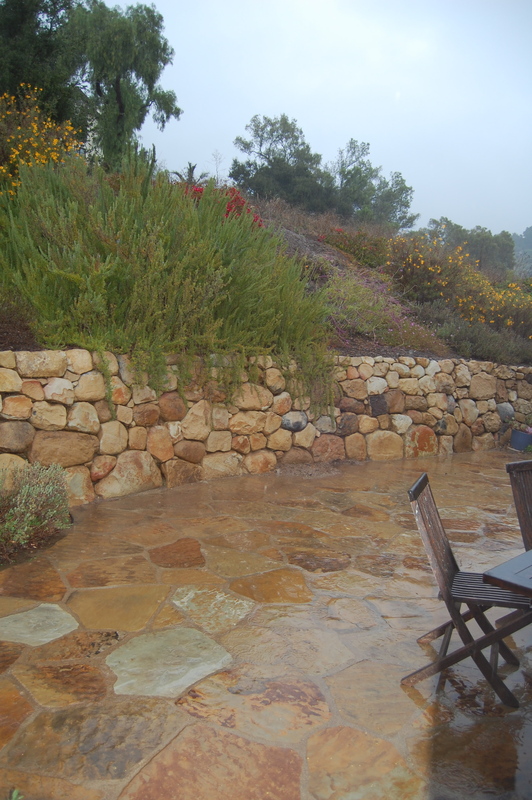 I awoke on Sunday morning with a terrible cold and the sound of raindrops falling on the windows. As much as I would have loved to stay in bed and nurse my aching head and stuffy nose, there was cranberry sauce and pie crust to prepare. 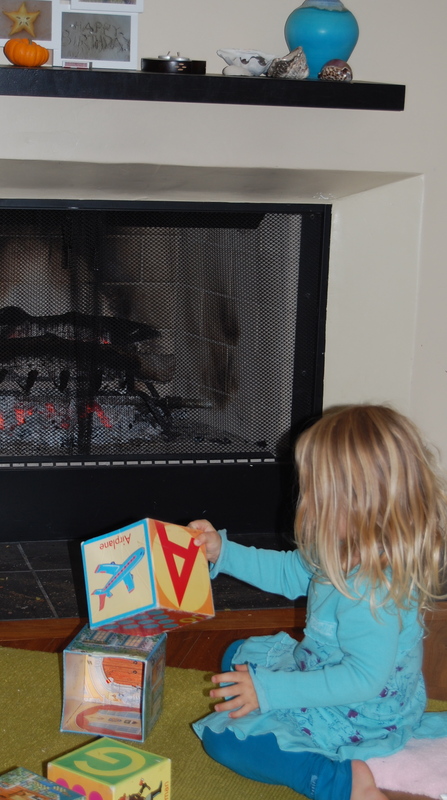 We also promised the girls a real fire in the fireplace this weekend; a rare and special treat here in Southern California. So after wallowing in my laziness in front of the fire, with a hot cup of tea, while watching the girls play, knit and lounge, I decided I was ready to face the day. As bad as I felt I was warmed by the fire and filled with an excitement and gratefulness of the upcoming holiday season. There is something so special and lovely about knowing that a gathering of family is near. Yes, the preparation for it is, at times, overwhelming and stressful, but in those moments of mindfulness, I find great beauty and joy. 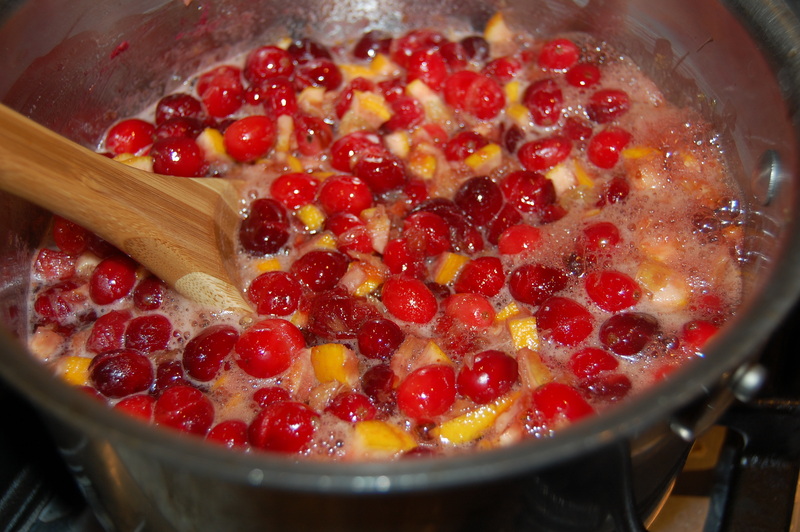 Anyway, I wish there was such a thing as “smell-o-vision” so you could experience the loveliness of this cranberry sauce. I like making it a few days ahead of time to give it a chance to develop. I learned of this tip somewhere years ago and have been doing it ever since. This sauce has been known to put a smile on many a Thanksgiving Day face! 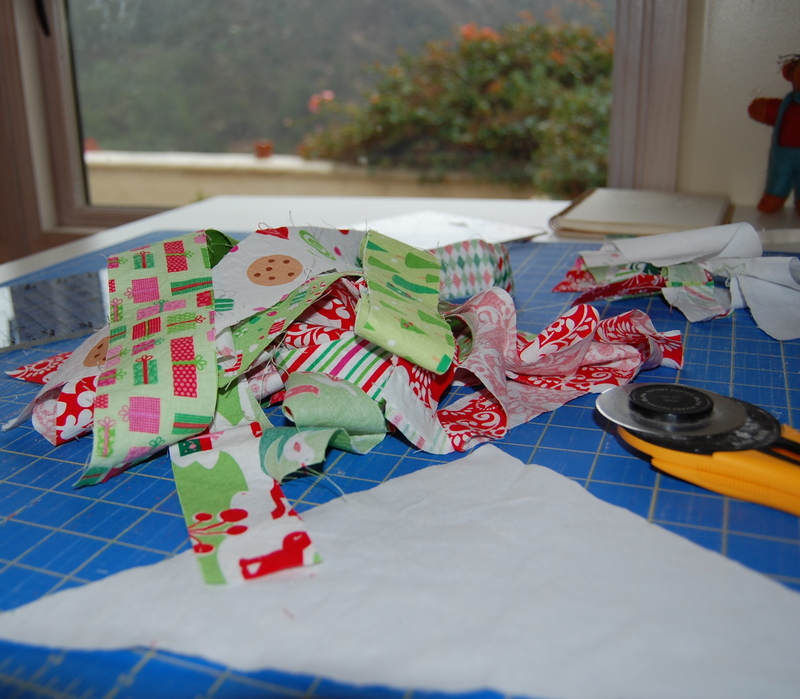 As I started feeling a bit better, I decided I couldn’t let the day pass without working on my Christmas sewing projects; another thing I happen to be very grateful for. 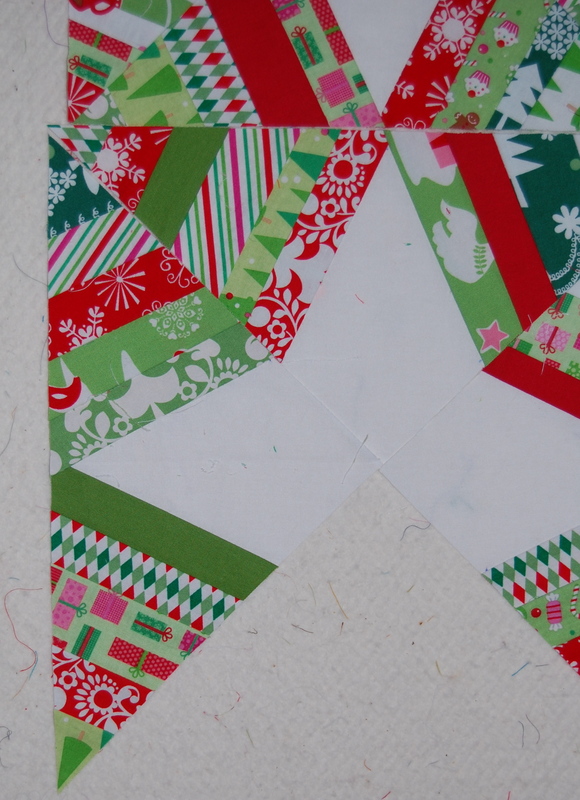 I am loving this tutorial right now and am considering how I can turn it into a Christmas Tree skirt. 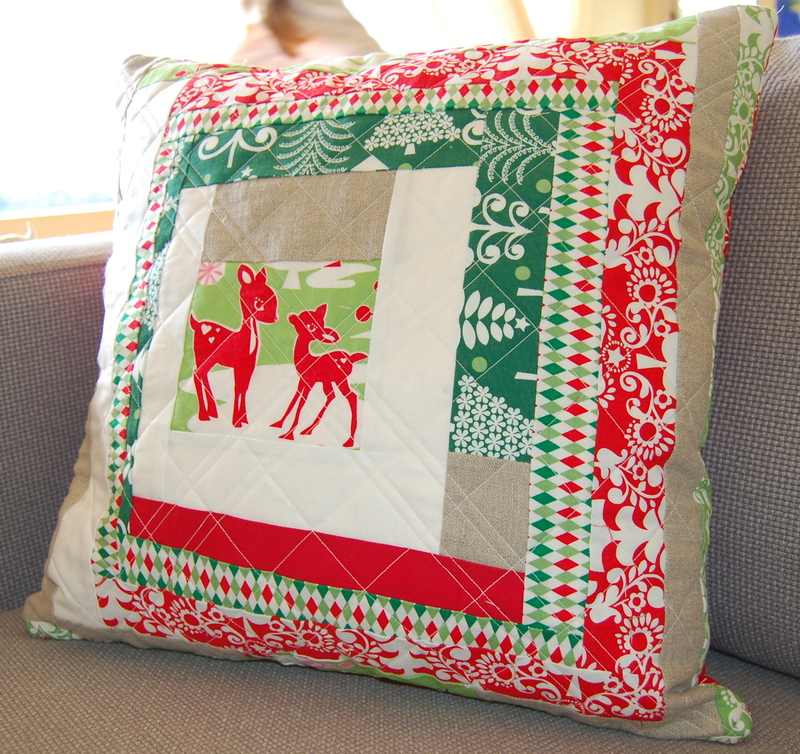 I think I had my fill of log cabin squares for a while (after finishing a couple of these pillows) and was ready to try something new, so I changed my original idea to follow this tutorial and now hope to combine the two mentioned to make my own. We’ll see how that works out. It may turn into a quilt, which wouldn’t be so bad I suppose. I always feel extra grateful when a cold, rainy day occurs on a weekend. 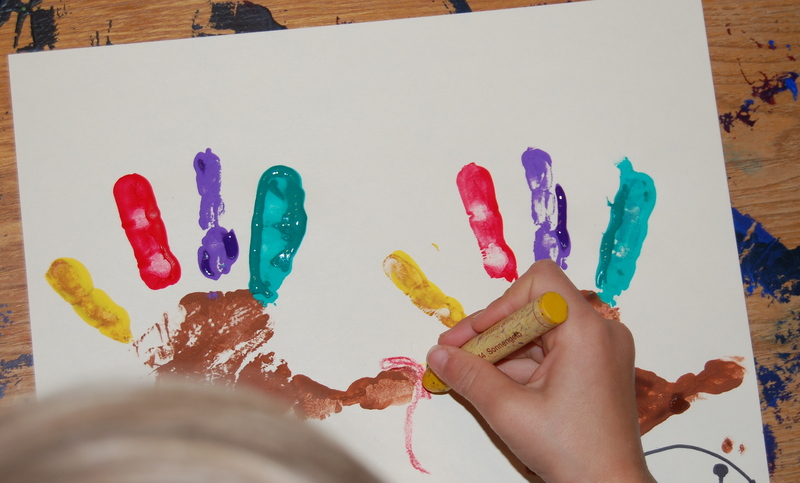 It gives the girls and I an excuse to stay inside and do some art projects. 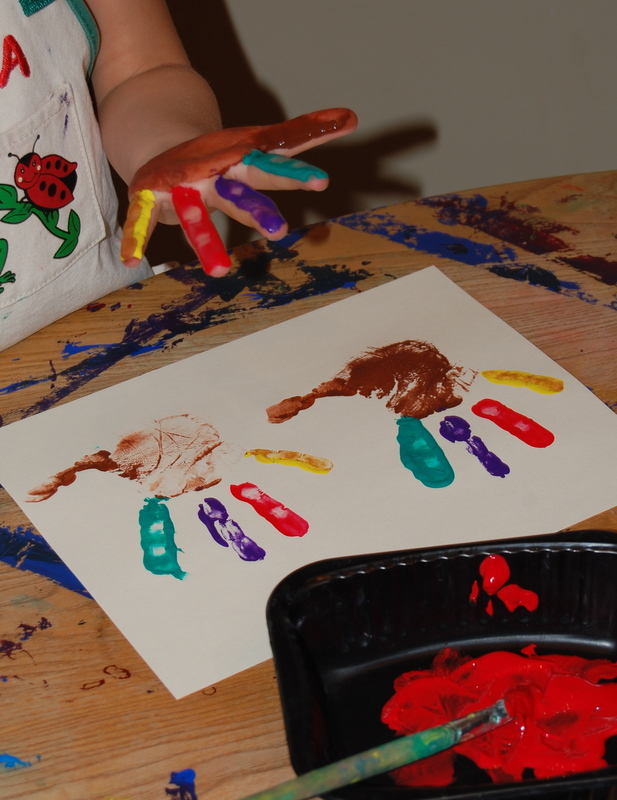 We decided to paint some handprint turkeys to decorate the house for Thanksgiving- cheesy I know, but it was fun! And lastly, I’m grateful for my ability to compromise and know when to let go, something I’ve been working on. So this year I am letting good ole’ Marie Calendar take care of the pie crust. At least we’ll put our homemade pumpkin puree in it!!! Hoping you too are feeling grateful for something today……. 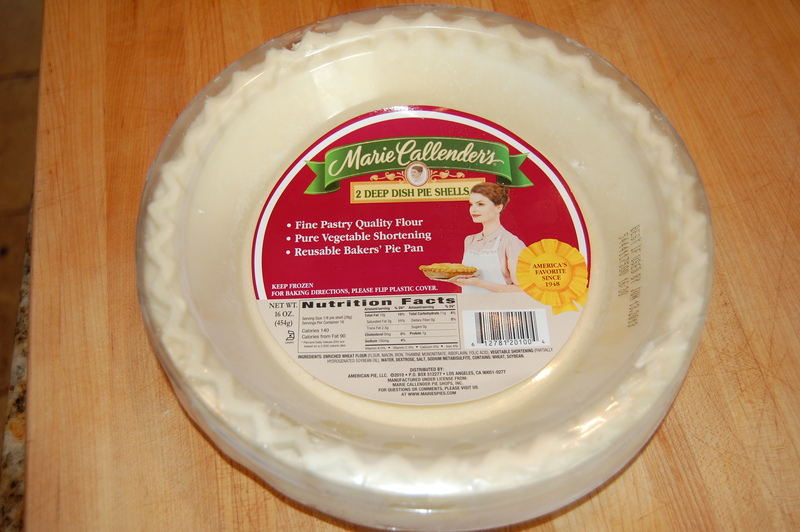 Where in SoCal do u buy frozen Marie Callender pie crust? Gelson’s Market!! Are you surprised? sorry you are not feeling well–but I see that hasn’t stopped you. What a perfect season of blessings and thanksgiving. Wish we could enjoy it together. You all will be missed. I just wanted to leave a comment to tell you that I think your cushion is so beautiful and I’ve made myself a pair which are completely inspired by it.